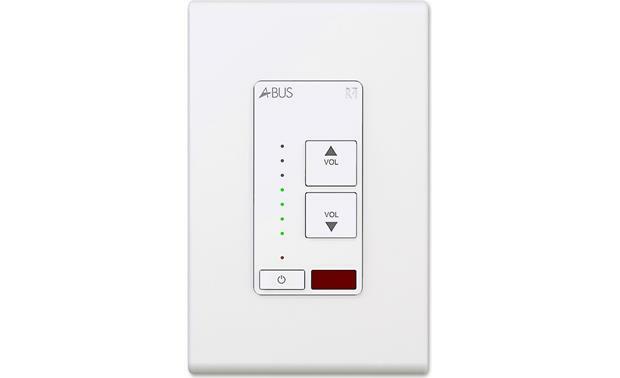 Russound's AK-4 in-wall amplified keypad makes controlling A-BUS components simple. Its backlit buttons let you toggle the system on and off, select a source, and adjust the volume. It also has a built-in IR (infrared) sensor so you can use a compatible remote control from across the room. Note: a standard single-gang junction box, CAT-5 cable, and Decora®-style wall plate are required for installation. EZ-RJ45 connections are recommended for termination. works great. fairly easy to install. this was a replacement for an older model so I needed to reconfigure the cat 5 cable. other than that, straight forward. Amplified Keypad: The Russound A-K4 is an in-wall amplified keypad used with A-BUS hubs and controllers in a distributed audio system. 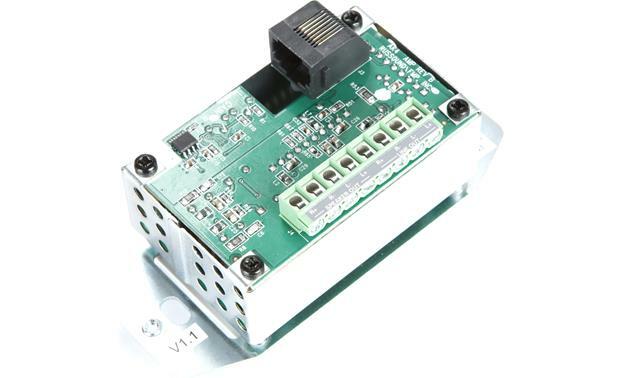 It can be used with both single and multi-source A-BUS hubs/controllers. The A-K4 provides source selection and control with backlit push buttons, plus an IR window to receive remote control signals. Power: Turns zone On or Off when pressed once. Source Select: When the keypad is set in "Multisource" mode, the power button is used to toggle through and select a source. set the maximum allowable volume for the left and right speakers connected to the A-K4. Volume: The volume up/down buttons control the speakers in the room that are connected to the A-K4. Speaker Outputs: The Speaker Output connections provide speaker-level audio output for a pair of 8-ohm speakers. These screw-down terminals accept up to 16 gauge speaker wire. Line Outputs: The Line Out provides a variable line-level audio output connection for an external amplifier or powered subwoofer. These screw-down terminals accept up to 22 gauge/4 conductor speaker wire. RJ 45 Connector: The RJ-45 input provides a connection for the CAT-5 cable from an A-BUS hub/controller to receive an audio signal, pass-through IR and power over the CAT-5 cable. The recommended maximum length for standard CAT-5 cable is 150'. IR Receiver: The IR receiver on the front-panel receives IR signals from a remote control. 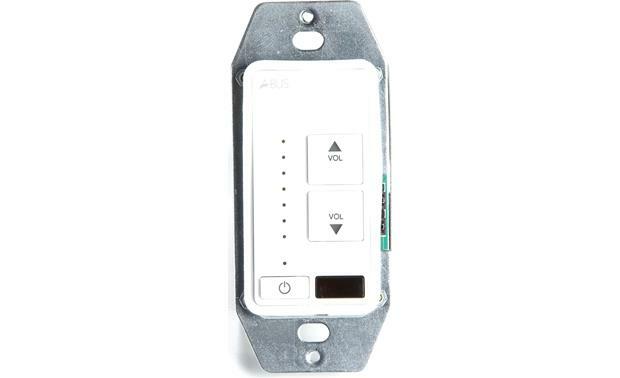 Source components attached to IR emitters in an A-BUS system can be controlled with their own remote controls aimed at the A-K4 keypad. Installation Note: Typical installations place one A-K4 in each room of the A-BUS system. Searches related to the Russound AK-4 Amplified in-wall keypad for Russound A-BUS systems.